Thinking of buying someone an iPod for Christmas? Then look no further - we'll tell you how to choose between the various models available so you can choose the one that's best for you to buy. Back in the autumn the whole range got an update, with the nano enjoying the most significant revision. Its new camera captures audio as well as video, but it can't take still photographs. The latest iPod nano also offers a larger screen, at 2.2 inches corner to corner, and an FM radio with Live Pause functionality. The shuffle's VoiceOver feature makes its way to the nano too, so you can navigate through your artists, songs and playlists without looking at the screen. Curiously, although the 16GB nano has dropped in price to £135 from £146, the 8GB model is up to £115 from £107, making the higher‑capacity nano a much more attractive option. The iPod shuffle has had a minor update. You now have five colours to choose from, not just black or grey. It comes in two capacities, a 2GB model for £45 and a 4GB version for £59. For our money, the 4GB shuffle is better value. If you're feeling rich, there's a special edition iPod shuffle stainless steel model, which is available exclusively from Apple stores (including online) and costs £75. It's very shiny, but considering that it's functionally identical to the standard 4GB model, is it really worth the extra money? The iPod touch has been upgraded, but not with a camera, as was widely predicted. The 16GB model has been dropped and a new 64GB version added. The 32GB model has been reduced in price to £229 from £283, and the 8GB version is down to £149 from £165. The new 32GB and 64GB iPod touch models feature improved performance and support for OpenGL ES Version 2.0 graphics, which is great news for gamers. Now your games can offer more realistic textures and even greater detail. And finally, don't forget the classic. At £189 for 160GB, it still offers the best cost‑per-GB ratio of any iPod. The classic may not have moved on much in recent times, but it's still the best way of taking your entire music collection with you. The iPhone is not just a phone – it's also a great iPod. Steve Jobs even called it "the best iPod Apple has ever made". But at 8GB the iPhone 3G is not capacious, which is annoying as the 3.5-inch screen just calls out for you to load it up with bulky video files. 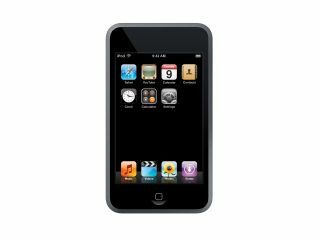 The latest iPhone 3GS comes in a 32GB size, which is more like the kind of capacity you need for movies, but there are some key differences between the iPod touch and iPhone. Should you choose iPhone 3G or 3GS? The obvious one, of course, is that the iPod touch doesn't have the ability to make phone calls. Fair enough, but remember that this also means that the iPod touch users won't have access to the internet – browsing, updating weather and stock widgets and sending and receiving email – when out of range of a WiFi hotspot. The payoff is that an iPhone costs a lot more, and you also have to pay for the data you use. You either have to take out a contract with Orange, O2 or buy it on Pay & Go (O2) from £342.50. The iPod touch currently lacks many of the iPhone's features, including a camera, voice control and digital compass. Rumours that a camera would be included in a future iPod touch were not confirmed in the September 2009 update, but it may happen in the future.